In the low power range, from 1 to 3 Watt, you can't find a luminous source that can exceed the efficiency of the LED! To make an example the emergency light bulb of the Duo Petzl can be replaced from a white superled that, with the same electrical consumption, provides 8 hours of light with 7-8 times the luminous power of the bulb. Such a light can be good for progression! And that's not all! After 8 hours it doesn't turn off like the filament bulb but it slowly begins to reduce its brightness. We'll have a decreasing but acceptable light for 24 hours and a very small light for many days. This is very useful for the emergencies. 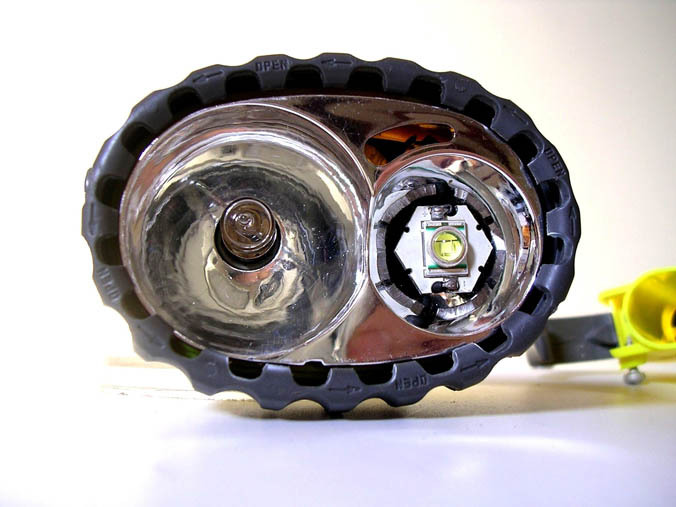 We tested the superled on the Duo Petzl with 4 x AA alkaline cells and, after 15 days, with a flable light, was still lit! Why to renounce these advantages? 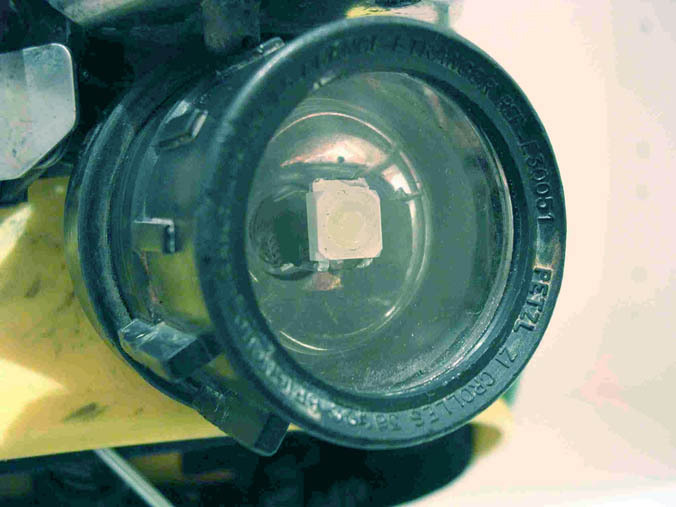 Let's use the Superled as a complementary luminous source with acetylene!